Every aspect of the process matters from the moment we hand over a business card to the completion of a building on site. And every aspect of a building matters from its location on a masterplan to the touch and feel of a door handle. Before 2009 we had undertaken many seminal residential developments. The idea behind GRID was to take that further while reflecting the changing demands of the industry. We had to be lighter, faster and more creative – to find new solutions to new problems. We formed a practice that recognised the architect as a specialist, and not a general practitioner, and to more effectively develop procedures and skills that enabled excellence. Not a practice dominated by the ego of a name for whom others worked, but a team that would work within a framework, within parameters and with mutual support. In a grid. We are architects to deliver buildings that are successful, beautifully built, commercially successful; that improve with age and can be maintained, changed and cared for, are inspiring to use or walk past, and contribute to a better city and to better lifestyles and experiences. We care about the service we give and the tools we use, how we find the best solutions and how to communicate. We aim to exceed expectations and to be better on every project and every year that goes by. Architecture is not for looking at, like a curious spectator, but to be experienced as a participant. We are part of the long humanist tradition in architecture. Everything we do is ultimately about people, which is why we developed our skill in creating places for people to live. We understand how people relate to places and how they use buildings. 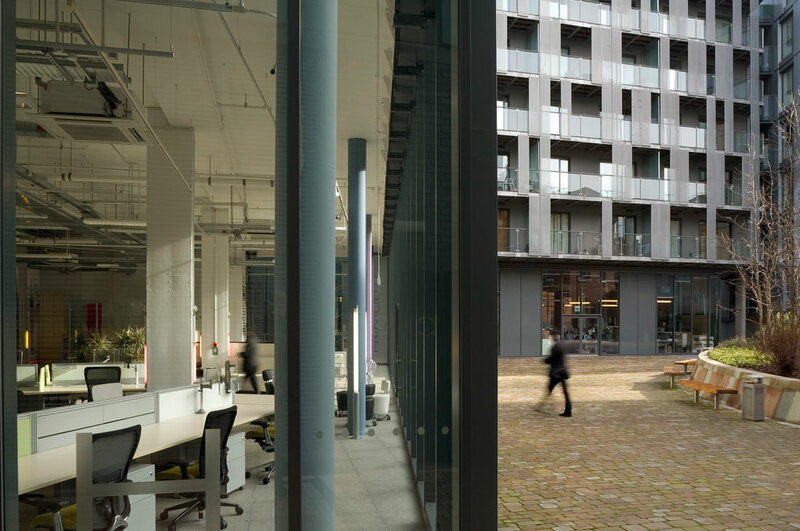 Whether it is a public space, a home or an office, our approach is the same – understand what the people want and need, and then allow for it. We consider how they use the building; different types of people at different times of their lives and at different times of the day or year. We run ‘what if’ scenarios and constantly ask ourselves if we would live or work there – if we wouldn’t then we reappraise the solution. We are never too proud to say that there is still more work to be done, and we only judge ourselves on results. We start every relationship with analysis of the site and the client’s aspirations/requirements/restrictions/foibles. Site analysis and context generate our designs; they are the problems to which we must find solutions. Our confirmed view that architecture is pragmatic, flexible and, most of all, human has separated us from practices who see buildings as a personal statement. We listen and collaborate and we are only happy if others are happy. Every project starts with information gathering, in order to understand the context. The right answer can only be found if one knows the right questions to ask. We thrive on collaboration, both internally in our studio and in workshops with consultants, artists and other professionals. With strong leadership a diversity of inputs will create a richer result. Design is a fancy word for solving problems! Solutions emerge through the application of creative thinking, design techniques and the continuous striving for a better answer. We are not easily satisfied. We understand the commercial process we work within. Our designs optimise the opportunity and always add value. 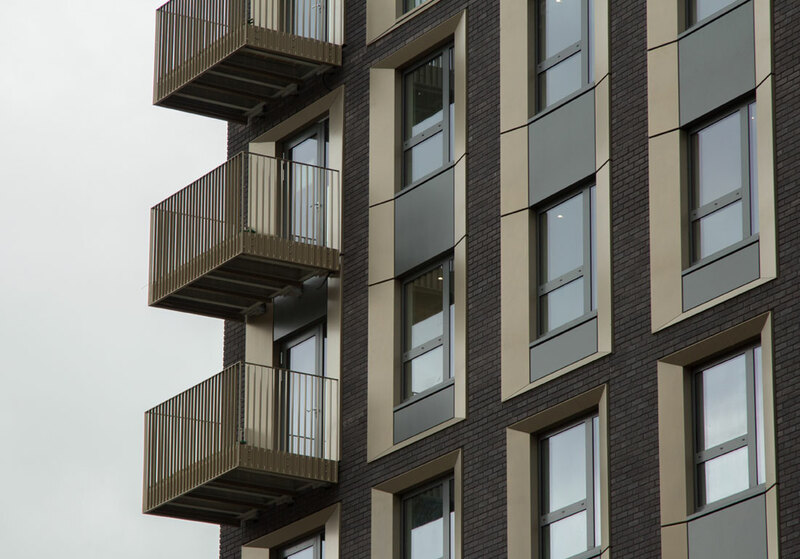 Our technical expertise achieves efficient buildings, minimising costs and offering buildable solutions. We present our work as a series of sketchbooks, demonstrating our understanding, and justifying our designs. Our sketchbooks and models sell our design, not simply through alluring images, but with a set of clear and thorough convincing arguments. Our approach is immersed in the context within which the project is to be undertaken. It is about urban form and fully understanding the context. Our buildings are a consequence of what they are and where they are, and therefore no two are alike. But there is a common use of components, materials and details. Our buildings are contextual, inventive, consistent, coordinated and beautiful. We have no architectural preconceptions and certainly no ‘house style’. We don’t use words like ‘fitting in’ but rather ‘working with’ as we don’t take a stylistic approach - every building is of its time, of its place and for a purpose. New buildings should not disappear and apologise and nor should they demand attention above the needs of others. Our confirmed view that architecture is pragmatic, flexible and, most of all, human has separated us from practices who see buildings as a personal statement. The influence of context and collaboration with our clients and partners stimulates a process of invention. All buildings are designed in 3D from the first minute and they continue their journey that way so that communication with others is simpler and honest. We have deep knowledge of materials and historic architecture which informs detail design and understanding of how aspects like mass, scale, proportion and form actually work. The plan is not everything but it is the most important 2D aspect of how we generate buildings. And we have the technique to make them work. We are also able to progress from plan to interiors and furnishing. Our design process is consultative and iterative in nature. We had value, even when that may be reducing cost. Understanding what drives that – like facilities, specification or view determines the product so we may well undertake view studies or propose new typologies to respond to particular challenges. With the 'site' and the 'product' understood the design process is effectively finding the answer to the question. It is often likened to joining the dots in a dot to dot picture. The skill, or course, is just as much where the dots are placed, as how one joins them together. We work in cycles of design where solutions are proposed, and modelled in electronic and physical forms to be tested and evaluated by the team. 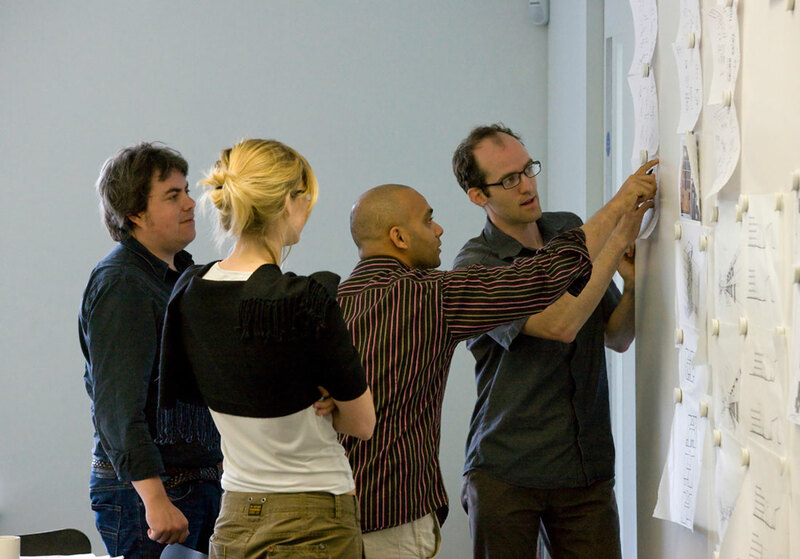 Lessons that are learnt from one set of proposals are fed into the next cycle of the design. Detail is important but what is often called detail is coordination and we excel in seamless coordination. This is born of experience ( knowing what to look out for ) and tireless enquiry ( making sure everything works within a framework like horizontal datums or a setting out grid). We are rigorous in our approach and fastidious in our execution, and strive for consistency in every project. Our approach is immersed in the context within which the project is to be undertaken. Most of our work is made up of multi-building projects with spaces between or within. 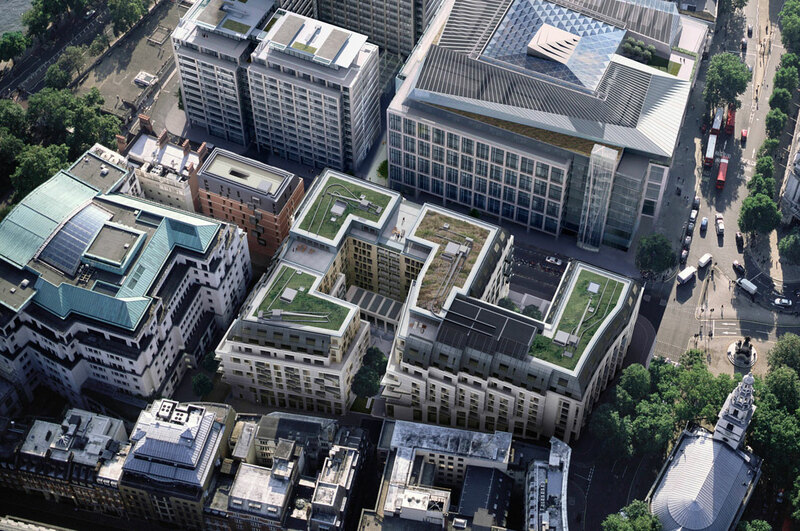 Courtyards, colonnades and even pocket parks are part of our current delivery programme- all becoming a seamless part of the city they are within and always adding something new and better. We apply the fascination with urbanism to the biggest masterplans and to the design of a single element. Even with large projects like 190 Strand and 100 Avenue Road we are replacing the surrounding streets and pathways with new public realm, making better interfaces with our building and improving the setting of other buildings, and creating a whole new pedestrian experience. 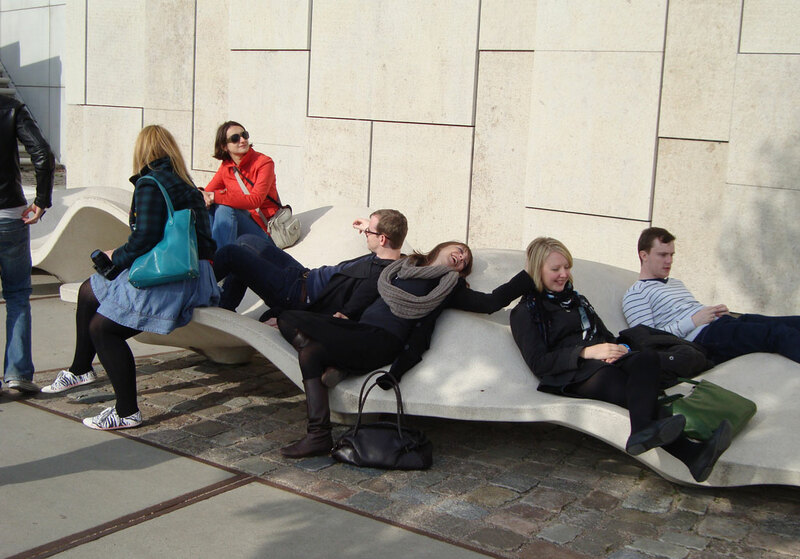 The fundamental difference between successful and poor urban form is the art of placemaking. Definitions of what makes a place from a space are richly debated but there are a number of accepted characteristics that are acknowledged contributors to place making. unless a space has a purpose, a use or a number of uses, and is used, then it cannot become successful. What it is used for can vary. It is easy to look at the classic town squares in Europe and say that they are perfect places that we should replicate, but in reality places can be anything from small streets to civic parks. Purpose is what they do and how they do it, it is having an intent which everyone understands a bit like a set of unwritten rules. if a space is overlooked it can be considered to be surveyed, but if those overlooking the space have a personal relationship with it i.e. they consider it to be theirs as much as or more than anyone’s, then it becomes a place. This is often how peoples personal ‘intervention of care’ for that place occurs and scale becomes a very important factor in this relationship. To achieve this on a large scale a space can be broken down into a series of places each with a purpose and a set of incumbents. the key to lasting success is flexibility which allows places to respond to changing aspirations, even economic pressures, and still be viable. A viable place will be use, that is have a purpose, even though that purpose may change. Aspirations of the time is one of the three key drivers of all urban form and flexibility allow changes to respond quickly and efficiently. the library of urban forms are limitless and have to be applied in response to the brief, physical constraints and the building techniques available or selected. The simplest form for placemaking is a static space, one in which the occupant has arrived, which correlates to the square or piazza or courtyard. The exact shape, enclosure, access, connections and architecture is what is applied to the successful masterplan. A Place is a Space with a Purpose. It is important to transform good designs into great finished buildings and we give priority to commissions that request this full service; whether traditional procurement, design and building or construction management. To facilitate this we put the tools, processes and personnel in position. From programming to resource allocation, we have adopted effective management protocols and accreditations . We make sure the project is delivered on time and on budget, from the basement to the furniture. We stress the need for excellent consultants across the board appointed expediently and with carefully controlled and coordinated scope of works. 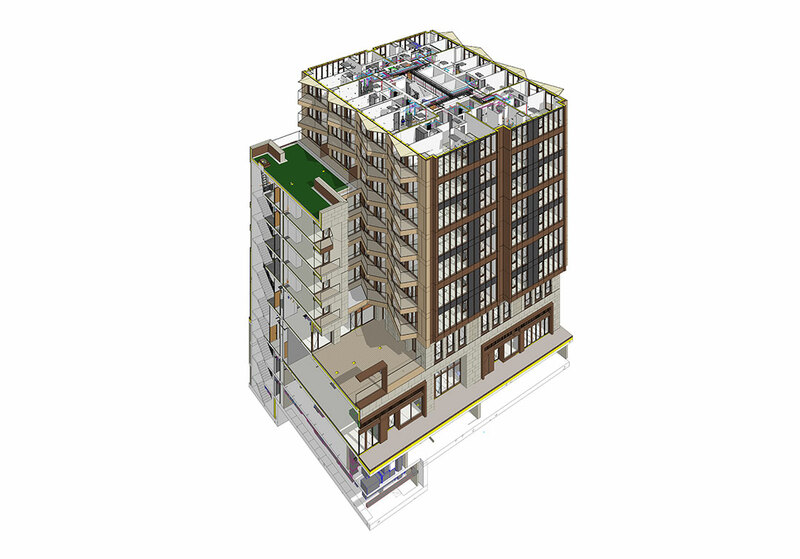 We use Revit and Microstation as principle software and we tailor these to the contractors’ needs. If BIM is required for construction or for long term maintenance and management then we provide that ability. Whether D&B or traditional we can administer and lead the design team with input from our technical and sustainability directors. Modern facades and tall buildings are very complex and the complexity of high end residential projects proves our ability to control and coordinate to the highest level. We consider a project complete when it is complete, and we will be judged by the longevity of the detailing and materials, not what it looks like at day one. Hence the love of traditional materials - copper, zinc, bricks and stone - and solid, considered detailing that understands environmental factors like wind, rain and sun. Our technical knowledge is very important and we love research on a project basis; we have developed everything from timber windows systems to prefabricated houses. Our 3d skills and software, model making and image/samples library help us to explain design. Our technical director, sustainability manager and BIM manager can advise of the application of specifications, regulations and information options. We have a fully developed Principal Designer service, in partnership with an industry leading consultant, available when required on our projects. 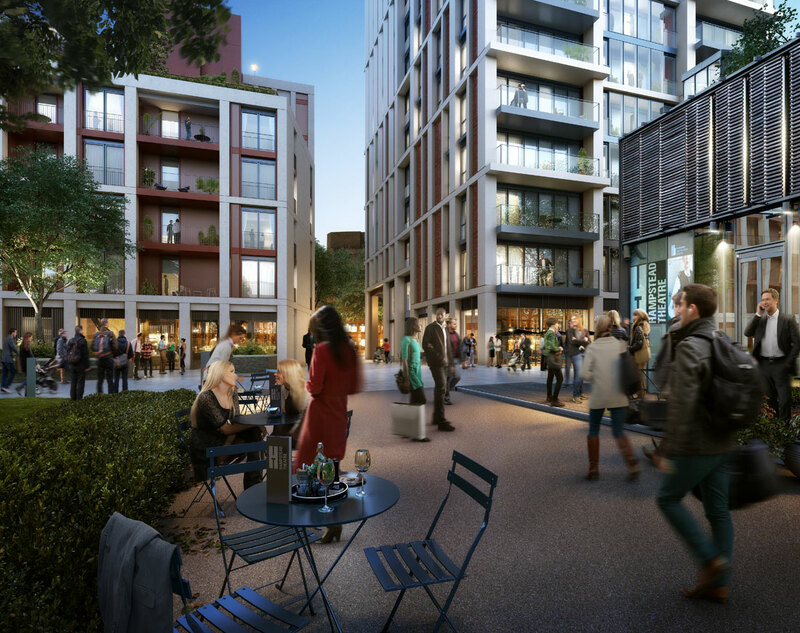 Most importantly - we have track record from Luxury Residential like 190 Strand and more affordable price points like Emerald Gardens in Wembley and Stanmore Place. Long term planning for sustainability is all very well but change can be enacted immediately and in all areas of development. Before we get to wastage and renewable energies, we want to know how we can cut energy use, energy loss and transport. While technology and legislation can be slow to change we have the most adaptable element on our side- people. A sustainable approach should need not now to be explicitly stated. But sustainable design is all encompassing – it affects everything from energy to materials. We look at the long term requirements but we also take the short term view to make a difference now. We are driven to create socially sustainable communities, which in time secure economic stability. All these promises start at home – in the way we live our lives and the way we travel to work. looking at the embodied energy, transportation and wastage of materials. applying the lose-less and use-less rule leading to better insulation and passive gains. attacking unnecessary transport and heating of homes as they are inordinately wasteful. making convenient connections in our masterplans. considering environmental impacts and not just carbon emissions. We believe that research and development on every project is crucial to its success. 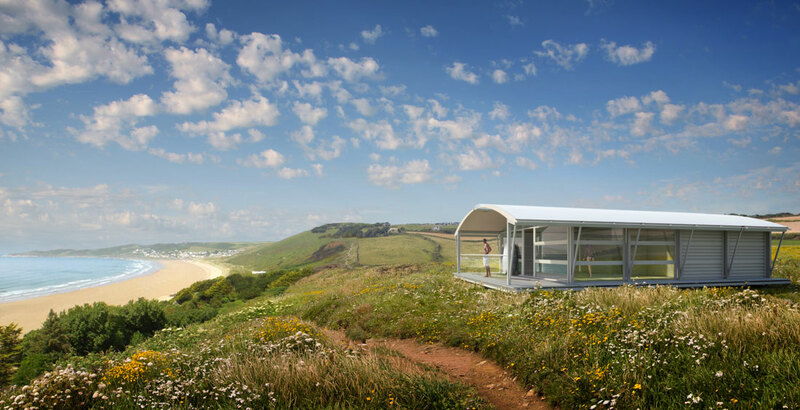 We run diverse research programmes including flexible residential interiors to respond to lifestyle changes, passively vented timber framed office buildings, a zero energy weekend resort and PREFILE; our advanced composite prefabricated building system. Architects can’t make people live sustainability bit we can present them with the option. GRID’s output has been focused on a limited number of sectors as we don’t believe in the architect as a general practitioner, but as a specialist. We deliver masterplans, public spaces, building design, construction information and interior design. Our successful approach to large mixed-use projects has led into applying our understanding of people and places to other types of accommodation within these projects like hotels, student residence, workplaces, small education buildings, retail, and even corporate HQs. 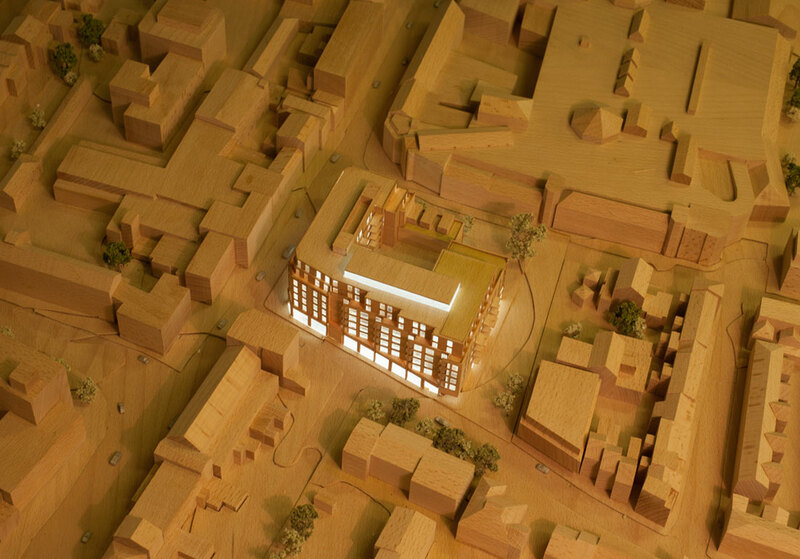 Strategic Masterplans including large scale urban extensions. Detailed Masterplans and Urban Design frameworks for large sites. Feasibility Studies to assess development potential and site capacity. Concept Design and Planning Applications. Design Development and Technical Design Stages 3/4. Production Information and Construction Services. We provide expertise across a variety of project types and at every stage of the development and construction process. 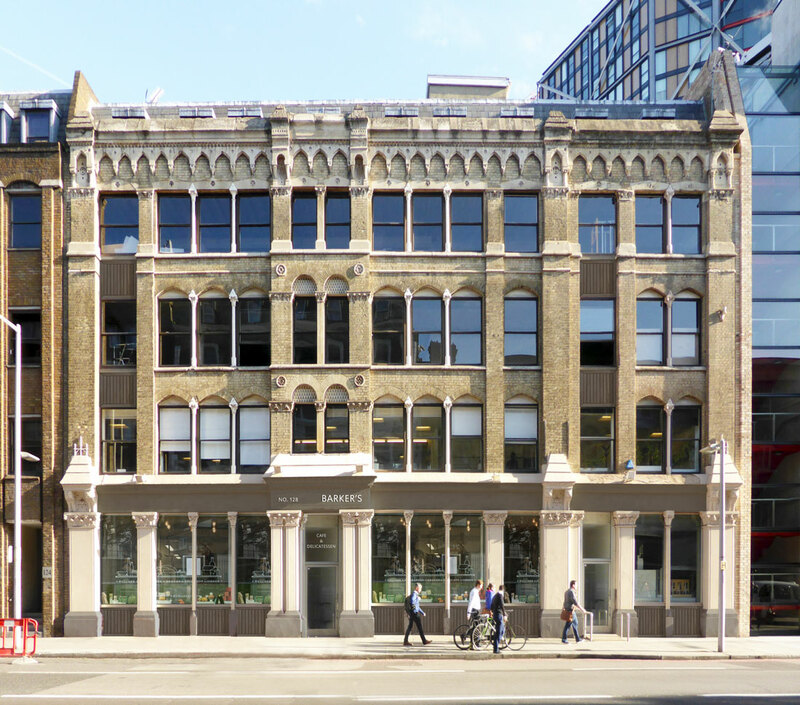 We are based in an old warehouse in Bankside, just behind the Tate Modern, and the river is 100 metres away. The transport connections help to get here and to allow us to get across London rapidly. Jubilee and District lines are nearby, Bakerloo and Northern are at Waterloo and London Bridge - each about 10 minutes away- and Blackfriars connects to St Pancras in a few short stops. There are two studios and each workstation is identical and all desks are the same size and equipped with the same tools. Micro-station and REVIT the main software. There are independent graphic and visualisation support and IT support is provided by a separate team off site. Our presentation suite doubles as a lecture theatre. Review and breakout spaces are spread throughout the studios. Our new, soon to be 3D printer will allow rapid prototyping and presentation models and we have a model shop for simpler massing models. We also have dedicated partners who provide additional models, visualisations and hand sketches when required. And to prove its not all work, work, work - our cook book, inspired by eating with our families round the world, will be ready by Christmas! Every one works in an open plan environment and everyone is approachable and communication is seamless. We appreciate our clients and that they entrust us with their project and we take our responsibility to the public seriously. We think about the occupants of the buildings as the real owners and in fact they may be. Their wellbeing, safety and security matter. If we can make their life better ina small way then we have been successful. Many practice decisions are taken by us as a collective and everybody has a voice regardless of tenure and position. Administration and technical staff are treated as one. We all sit at the same desks in the same office. There is a hierarchy and a split in responsibility but we are all in it together. We share in the success through our profit and bonus system and we have a fair pay structure. We value people and we expect to be valued so that the advice we give makes a difference. 3D is at the heart of everything we do and BIM is the tool for that. We design, render, plan, coordinate and construct in BIM. 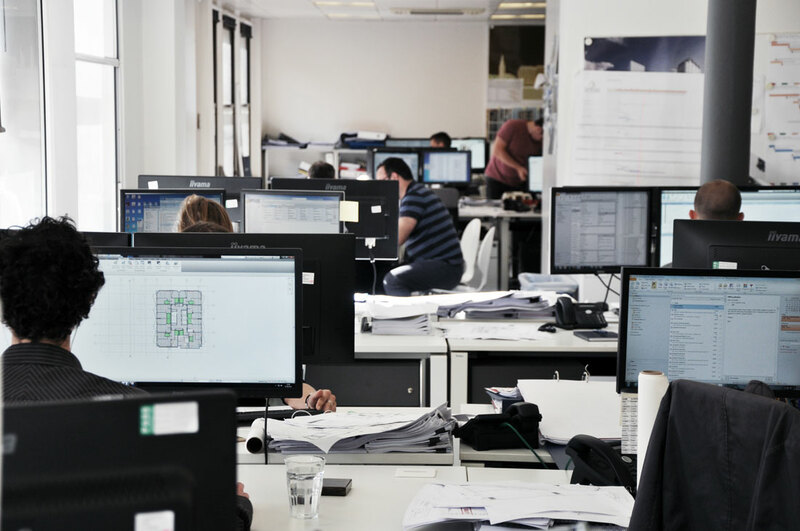 BIM is a shared resource of information and now we are providing our client and contractors with reliable information to maintain and manage their buildings. The potential of 3D to 7D is enormous and the benefits are being taken up by those who realise that potential. We are happy to introduce the technology and approach and even to help implementation through partners and providers. Bim is as essential as computers were 20 years ago - that is why we invested in BIM at the earliest opportunity; to become leaders and not just followers. we are committed to BIM and offer the capability on all projects. Forums give people a say in the practice and how we develop. Attendance and input are voluntary and great contributions can be made. There are no glass ceilings and there are many opportunities to advance and excel and but these must be grasped. Those who do play a big part in the future. the forums are the meeting place of minds in the practice. 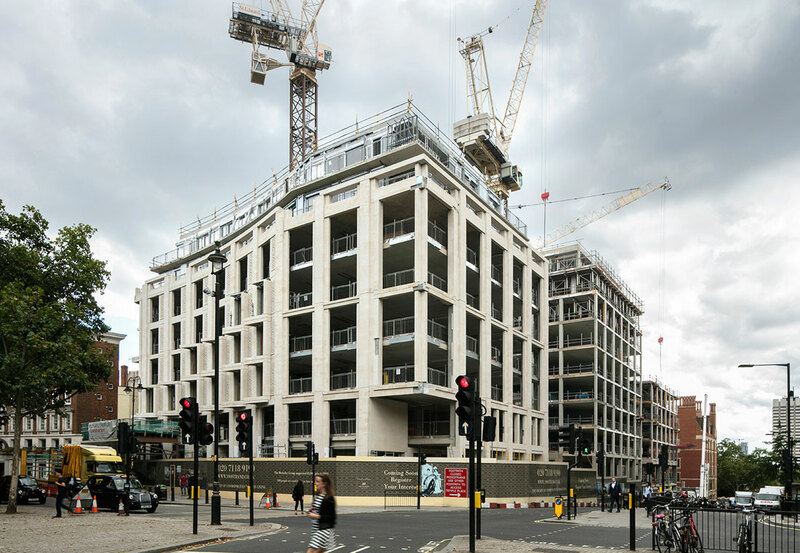 We work with traditional methods like loadbearing and in situ concrete but also modular and precast elements from structure to cladding. But whatever method is chosen it has to work for the contractor and sub-contractors and we encourage early interfaces with the people who make and assemble our buildings. Buildability Construction can be affected by programme and environment but also budget. We support the employment of cost consultants on all project and the use of transparent and considered tender procedures.